iMusica is the pioneer and leading company in digital content management and distribution in Latin America. 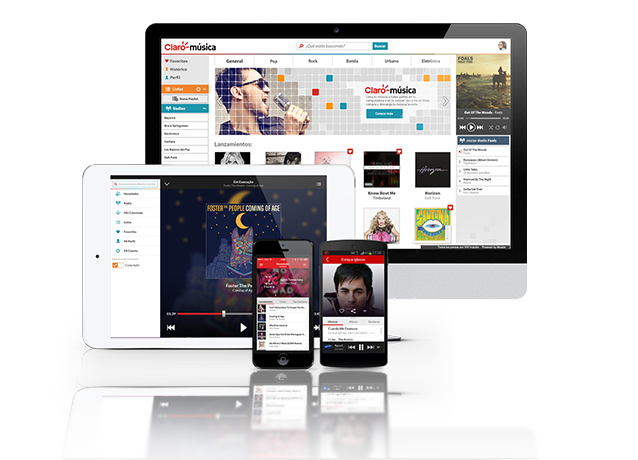 Operating since 2000, iMusica is an important digital content provider for the main mobile operators and music services in Brazil and worldwide, develops download & streaming platforms and create music branding solutions for major brands. The company manages today a catalog of 18 million tracks and licensing agreements with more than 20.000 brazilian and international labels such as Sony Music, Universal Music, Warner Music, EMI and major copyright organizations in Brazil and in the Latin Market. iMusica is the White label plataform of America Movil digital music service and content provider to mobile carriers and manufacturers, content gateways, retailers, massive brands and record labels in Latin America. Through a partnership with América Móvil and Coca-Cola FM iMusica distributes affordable digital content via mobile phones and computers, tablets and other mobile devices in 18 countries in Latin America, with a range of 230 million users. In Brazil, it is a renowned exporter of Brazilian independent music to international music services like iTunes, Amazon and Spotify. Create and develop scalable business models, driving forward the digital music industry , creatively and profitably, investing in people, knowledge, technology and relationship. Provide services with the most innovative technological solutions. Moral and ethical pillars in all our business relations. Add simplicity to all our services maintaining quality. Ability to integrate our content providers, partners and consumers. Incessant search for best results always aiming success. contracts with leading mobile manufacturers in the region. solid partnership with major labels , independent labels, publishers and content agreggators. integration with leading music publishers in Brasil, promoting adaptation to Brazilian Copyright laws, quite different from the rest of the world. extensive catalog with more than 18 millions titles. iMusica headquarters is located Rio de Janeiro downtown and has subsidiaries in USA, Mexico and Argentina and representations in Colombia, Chile, Peru, Paraguai. Uruguai and Equador. @Copyright 2012 iMusica. All rights reserved.